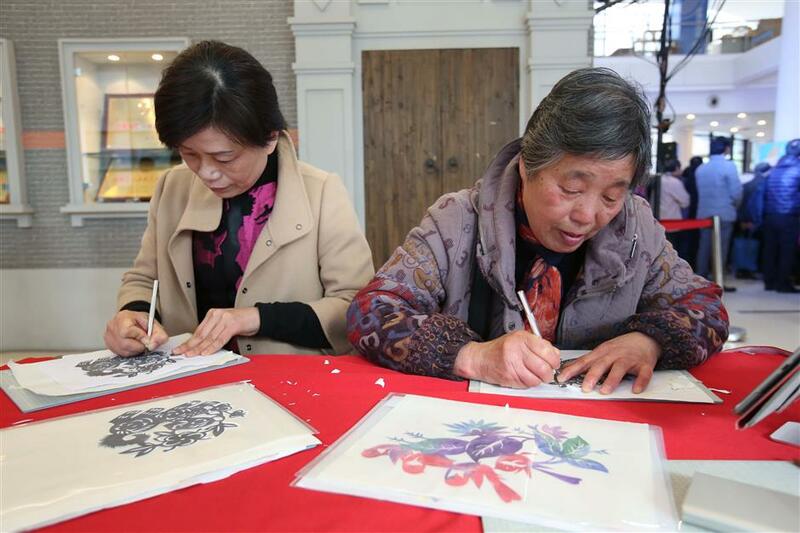 The events are part of the Shanghai Citizens Art Festival, which was initiated in March 2013. 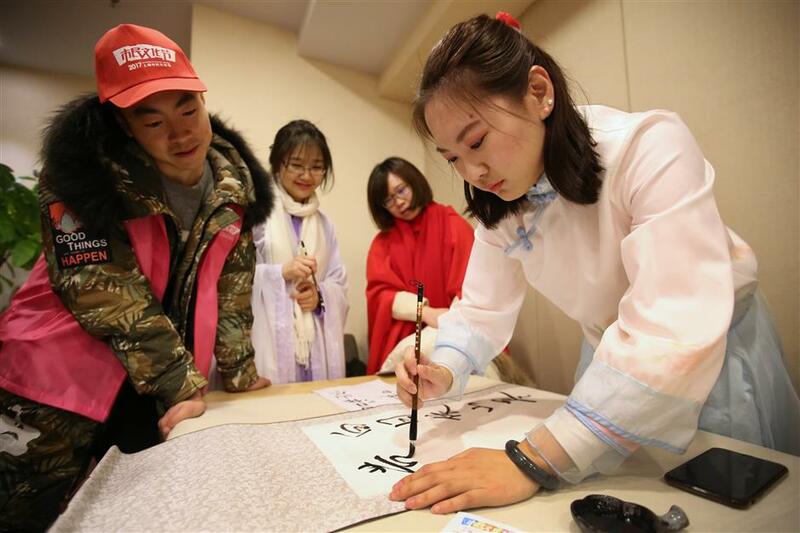 Young people dressed in traditional outfits take part in the orienteering competition. 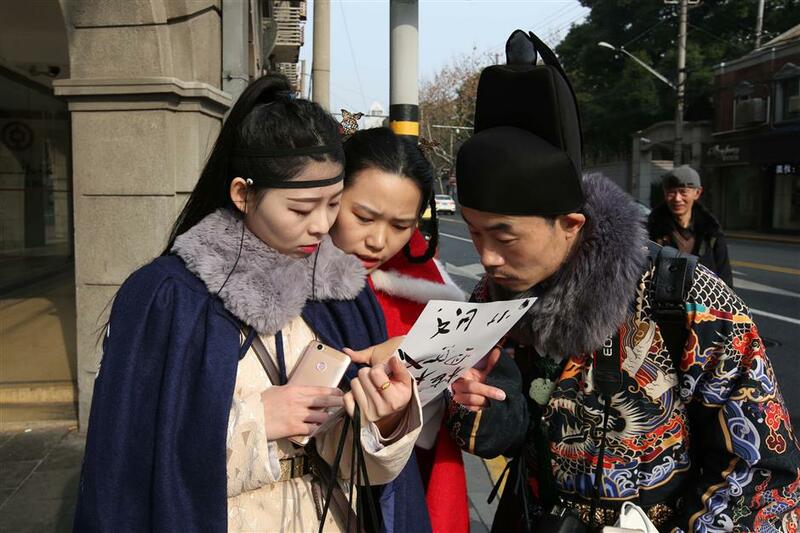 Shanghai Citizens Art Festival hosted an orienteering challenge and a handicrafts bazaar yesterday to promote traditional Chinese culture. 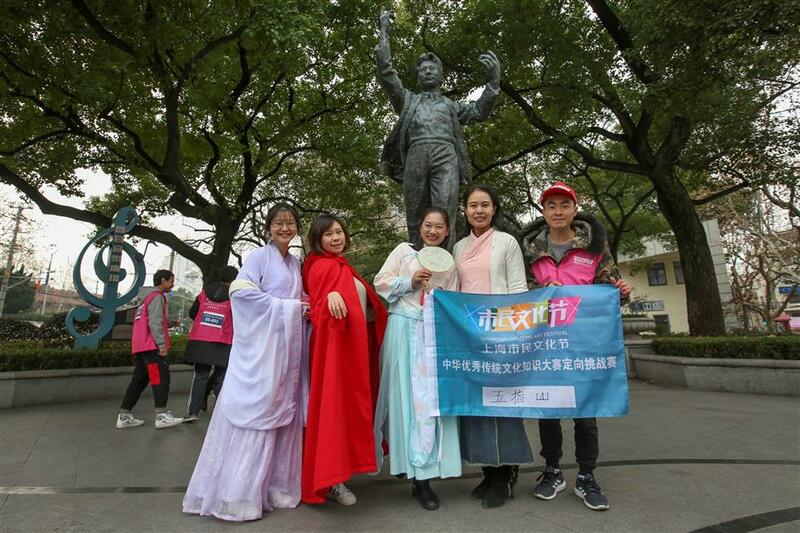 Dressed in traditional Han costumes, orienteering fans visited a few cultural venues including Shanghai Library, Shanghai Film Museum, Xu Guangqi Memorial Hall and Zhang Leping's Former Residence. 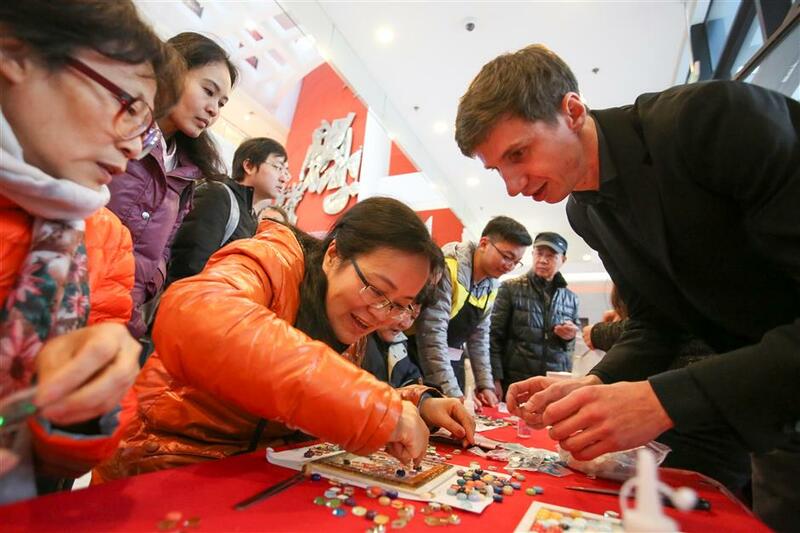 The last stop of was the Shanghai Mass Art Center, where a handicrafts bazaar was held for local residents and expats. 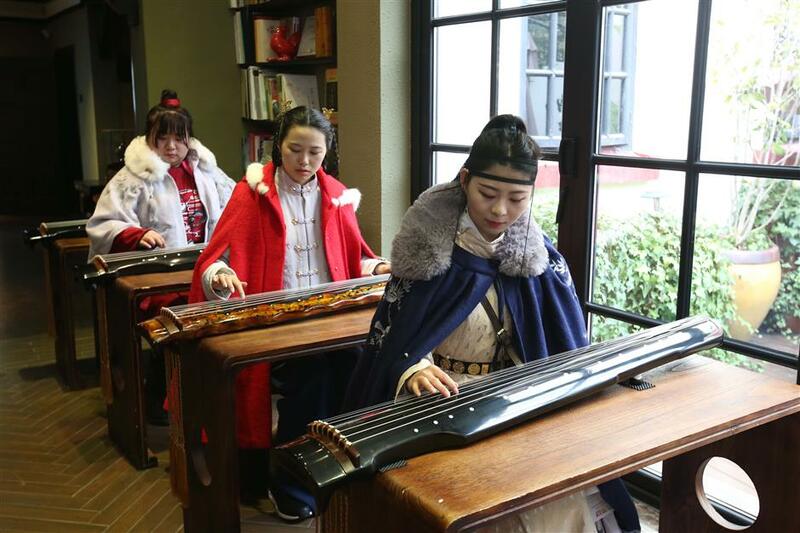 Folk artists displayed porcelain carving art, stencil printing technique and presented classic excerpts of traditional Chinese operas. Ukrainian teacher Yuriy Pasichnyk (right) teaches local citizens how to make mosaic paste.